UU A Way Of Life: Love is not something you do, it is something you are. Love is not something you do, it is something you are. The Universalists got it right. The Universalists believed and taught that God loves God's creation unconditionally. How could it be otherwise? The Universalists called their brothers and sisters to love one another and the world likewise. And Osho says that Love is total, not perfect, total. By "total" Osho says he means wholeheartedly, no holding back of anything. Unfortunately, on the path of the ego, we think we love but it is conditional. We will love if..........., and we come to realize that this conditional love is not Love at all. 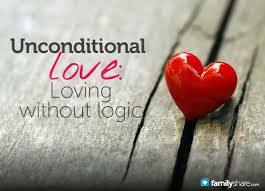 True love is unconditional. We love because we want to love. Our love is not opposed by anything. This unconditional love is what ACIM calls the peace of power that opposes nothing and which Osho calls "total." So, on the path of the spirit we don't hold back, we have no reservations, we love totally and in doing so we become Love. This teaching of the Universalists is needed in our world today. UUs can engage in a missionary mission to share their faith and vision. The Universalist understanding is a light in the darkness, a light that needs to spread and grow. We, Universalists, have our mission and our vision and we can engage in joyful work to hasten the achievement of the At-one-ment. Do you find that UUs love more unconditionally than others in spite of the Univeralists roots or have they forgotten from whom they have come? They have forgotten. They can be very petty and trivial. They have lost the larger and longer view.